Waarnemend en houding: Hoe Acteurs Stack Up? Classically trained actors are taught how to comport themselves. This training doesn’t necessarily cover the nuances of foot action in walking, or leg architecture in bending, or pelvic positioning that facilitates effortless stacking of the vertebrae, but it does prevent against slouching, hunching the shoulders, and protruding the head forward. An upright comportment is important to an actor for both presentation and performance. An upright stance draws the eye and is much more attractive than a slouchy stance; and being properly upright allows for deeper breathing and better circulation, which benefits the brain, the body, memory, the voice, and more. A strong postural base opens the range of possible characters and physicalities an actor can inhabit, whereas poor posture is a learned habit that limits an actor’s range. A proper stance also allows for mental and physical preparedness, allowing an actor to be in communication with the audience and reacting to the scene, rather than playing a more passive role. 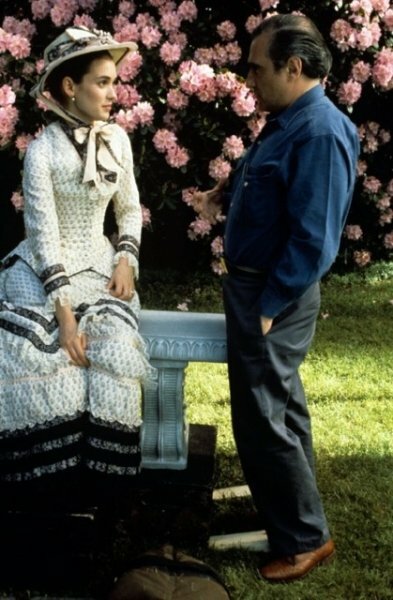 Winona Ryder sitting upright with her pelvis anteverted, next to a crew member standing poorly with hips thrust forward. In my work as an actor, I approach each role very physically. I try to find a different physicality for each character I play, including posture, rhythm, ways of moving and center of gravity. The posture work was very helpful in making me aware of all these areas in a way I had not considered before, and I was able to apply this immediately and directly to my everyday character work. In the show I was working on at the time of the class, I received many comments on the strong and effective physicality of the role I was portraying. 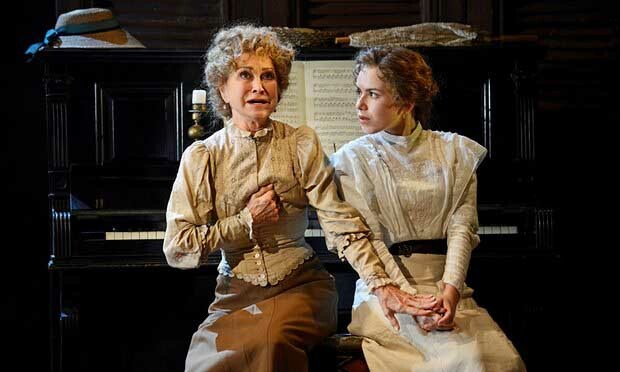 In the play’s final scene, a very emotional reunion, I worked consciously in rehearsal on lengthening my spine as I stood (something Esther had specifically worked on with me). My brother, who is a Yoga instructor, commented after seeing the show that it was a stance that is very similar to a Yoga position, and that it had a powerful emotional effect on the audience and enhanced the impact of the scene. Several friends have also commented that I seem to have a greater presence on stage, and one person has said I seem taller than before, both onstage and off. Because many actors pass through acting schools, the general posture of actors on stage, TV, and in movies is better than the average in the population. Actors also mimic actors from the past, and for this reason too, often have better than average form. The first actors who starred in silent films lived during a time when healthy posture was the norm. It was second nature for them to move well. As each generation of actors studies those that came before them, they learn to comport themselves with many of the same physical characteristics exhibited by earlier actors. 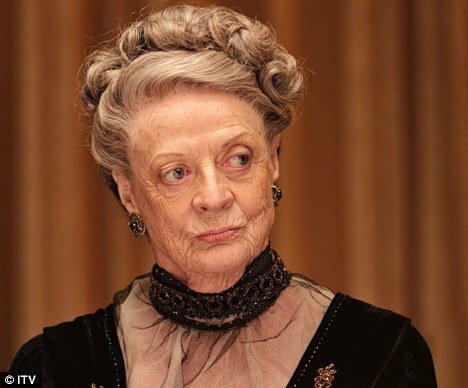 To the modern eye, accustomed as it is to seeing people slump and slouch, the positions and movement patterns of older actors can sometimes look stiff and formal. Actually they are healthy, natural, and relaxed. Modern actors mimic these postures, probably from a desire to ‘look the part’ as well as a natural understanding of the benefits given to those with good posture—one of which is surely greater acting success. These lessons are then supplemented and reinforced by the teaching of good upper body positioning in many acting programs. 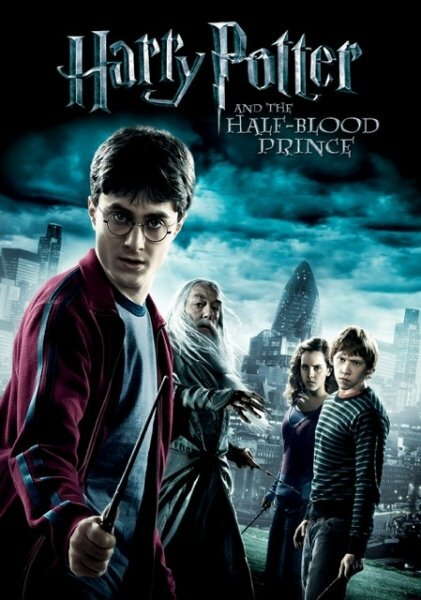 The cast of Harry Potter on the movie poster, all upright with well-positioned shoulders and heads. Although the lead trio first came to Harry Potter as children, they received training as the series progressed. At the Gokhale Method Institute, we’ve noticed that actors without classical training tend to have worse posture than actors with formal training. 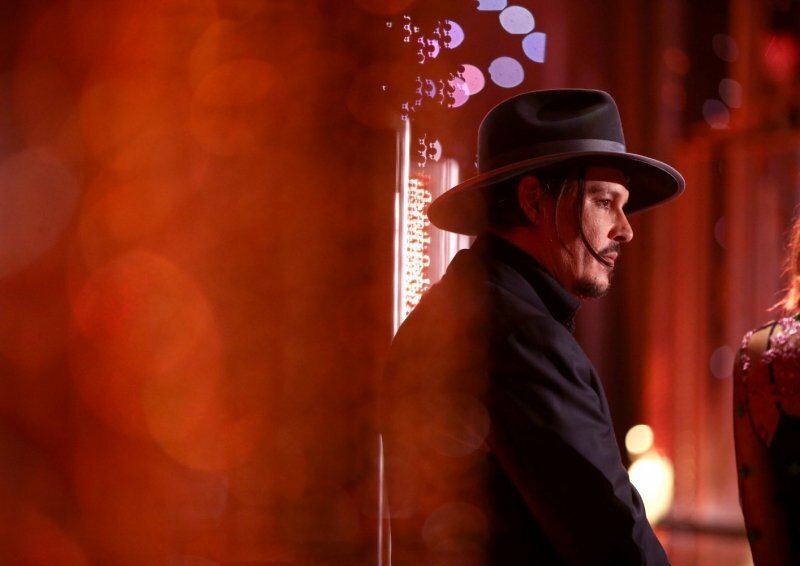 Johnny Depp, who never received formal training, leaning over rounded and hunched, in contrast to Orlando Bloom who keeps his shoulders back while seated and Naomie Harris who stands with a commanding upright stance. Bloom trained at the British American Drama Academy, and Harris at the Anna Scher Theater School. 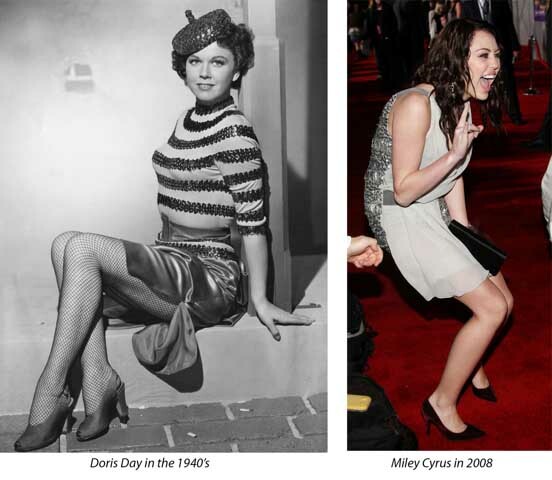 We also see a general worsening in the posture of our movie stars in modern times. It is hard to say whether this is because of the changing nature of acting roles, which often seek to portray average people in naturalistic ways, or the prevalence of bad form in the general population taking its toll; both are probably important factors. Untrained Meg Ryan, in In The Land of Women, sitting hunched with rounded shoulders, mirroring the child actor. We’re looking forward to reversing the trend of actors having poor baseline posture, as well as having to adopt poor posture to portray average characters! To continue this discussion, please name some actors or actresses whose posture you have wondered about. We will then look for pictures of them to critique here in the comment section. Next Post: Is Your Stretching Regimen Helping or Harming You? Since learning about the Gokhale Method I have been looking at people's postures all the time and found the article fascinating. I have particularly noticed the new UK Prime Minister Theresa May who has terrible posture! I'm sure it would improve both her speaking voice and her authority if she could lengthen her spine. So glad to hear that you are looking at people through this new filter! This means that you have a built in reminder system in your life. Yes, Theresa May could use some coaching for her posture - let's see if our wonderful UK teachers are able to get through to her. Super interesting, thank you! I would also love to see a similar article on royalty, many of whom are role models for millions. For example, Catherine, Duchess of Cambridge, has forward hips, no glutes, and often appears be trying to minimize her height or apologize for her prominent position by bending or hunching forward. Princess Mary of Denmark, on the other hand (also born a commoner), has truly regal posture and appears to have strong glutes. Great suggestion! We'll write such a post for sure. Theresa May, as suggested above, will be included as well. Since I have become familiar with your teaching, it is absolutely painful to observe the posture of one of the main characters, "Rory", on "Gilmore Girls." It does seem a shame when someone is particularly attractive in some way, that they would undermine their appearance by having poor posture. Rory is a good example of that - such an attractive face, but her posture includes a tucked pelvis (notice an absence of L5-S1 curve), which sends her head forward. Her way of having a semblance of "good posture" is then to sway her upper lumbar spine - painful to see and, more importantly, probably painful for her to embody. I hardly think it’s accurate to say she “would undermine her appearance”, as if she is willfully slumping over and simply needs to straighten up. She clearly has pathological developmental posture problems, and in one interview she discussed doing posture exercises. The shame here is not that she fails to recognize the disparity between her attractive face and her posture, but that her doctors and guardians failed to diagnose her kyphosis and get her timely care. You make a good point. In her case, it would indeed take some dedication - and someone knowledgeable needed to make her aware of the challenge. Glad to hear that she does posture exercises! So sad! I watched the entirety of Gilmore Girls twice through, and never took stock of how bad Alexis Bledel's posture was in that show. 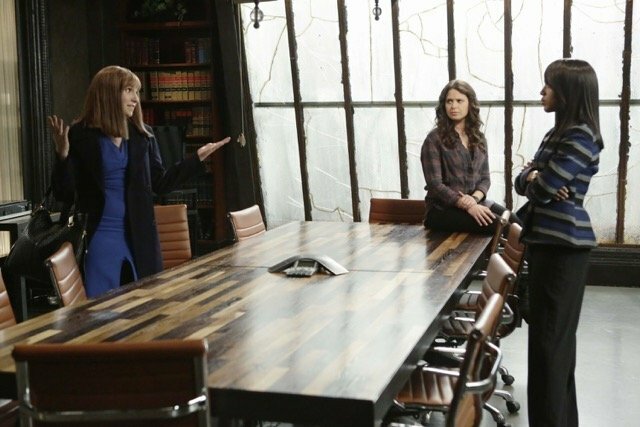 Particularly interesting since her co-star, Lauren Graham, has great posture. Even with the bit of knowledge I have about Gokhale, I've noticed that Felicity Kendall in Rosemary & Thyme (BBC) has beautiful posture. I find myself imitating her (especially now that I'm wearing a waist pack as she does!). It gives me pleasure to see that name and remember that face - I know her family well. Felicity's sister, Jennifer Kendal, who tragically died of cancer in 1984, was married to Shashi Kapoor. Their three children all attended my school, Bombay International School. I used to go their home for parties, and Kunal and I even had crushes on each other (at different times!) The Kendal family had a Shakespearean acting company that performed in India, no doubt part of the reason for their excellent carriage. They contributed the premiere showing of their movie Shakepearewallah towards the remodel of our school. 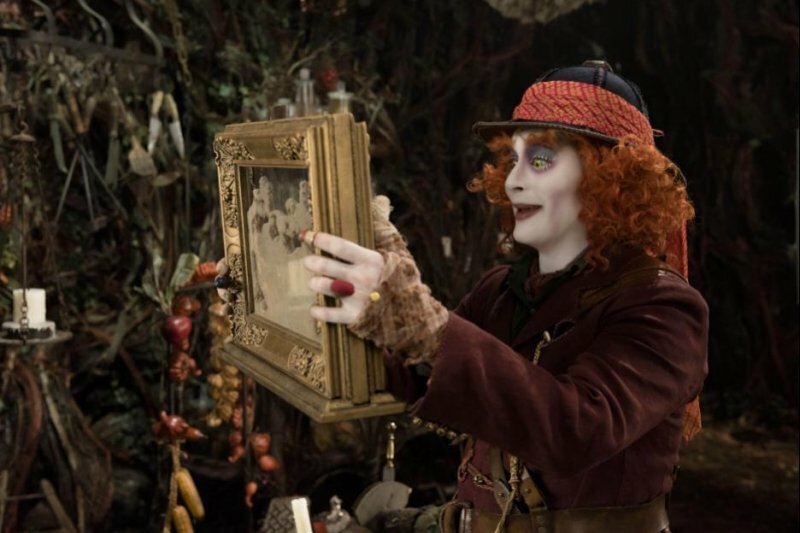 In the films chosen here, Johnny Depp and Heath Ledger were playing rebellious characters. Who's to say the director didn't ask them to slouch? I think it would have looked odd if a goofy pirate ("the worst pirate I've ever seen") had posture as good as a trained swordsman and a sea goddess. Your previous example of good posture is an actor playing a brain surgeon -- of course that character is going to have better posture. Jack Sparrow had ratty hair, dirty clothes, and didn't speak perfect English, either. That Harry Potter poster has been photoshopped so much the heads don't even look like they're attached to their bodies. I believe that this poster is an accurate a representation of their posture in the same way it's a truthful depiction of Michael Gambon's hair. You're quite right about not being able to tell if a particular image reflects the actor's baseline posture or the character they're portraying. We did search through a number of Google images of each actor to better guess at the situation, but this is certainly not a thoroughly conducted study. It's entirely possible some of the examples and conclusions are not quite accurates - with skeptical people like yourself, especially if you refer us to counterexamples you come across, we'll be able to round out these rough observations. You bring up a good point and support Gokhale's article, from a different point of view - that poor posture is more suited to naughty rebels and drunken pirates. You bring up a valid point. You bring up a valid point. 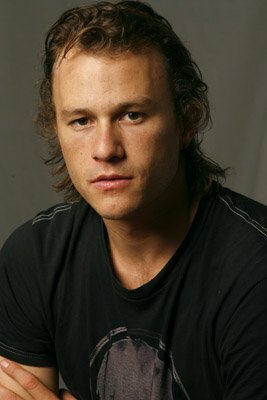 Talented character actors like Depp and Ledger are of course capable of mimicking an upright posture as part of their character, and actors with classic training will slouch as part of their character. I think these examples are interesting, however, because while Depp is hunched, the other pirates (or swordsmen or sea goddesses) are not. His posture feels instrinsic to his character because he is a wonderful actor, but in many circumstances, such as Day-Lewis playing a surgeon, the relationship between the character and the posture isn't inherent. In fact, in general at Gokhale Method, we have found that surgeons frequently have terrible posture. They spend many hours bending over in surgery, and having started with a poor (although average) baseline that leads them to bend badly, this posture gets exacerbated by their jobs and can lead to extreme back and neck pain. So although Day-Lewis plays a surgeon with a becomingly dignified stance, the fact that this pose seems natural to his character is an attribute of his acting skills rather than the reality of surgeons in general. 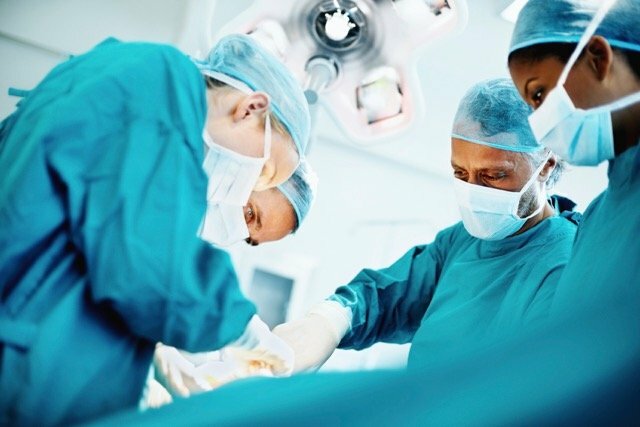 You say "of course that character is going to have better posture," but there's no reason a surgeon should stand better than anyone of another profession, as we would all benefit from doing our jobs in a healthy, pain-free way. To better support the point in the article, here are some further examples of the same actors in different contexts. Here is he again in character, mimicking an upright posture. However, you can see that his attempt at good posture includes bringing his hips forward, and arching his lumbar spine rather than having a curve at L5-S1. 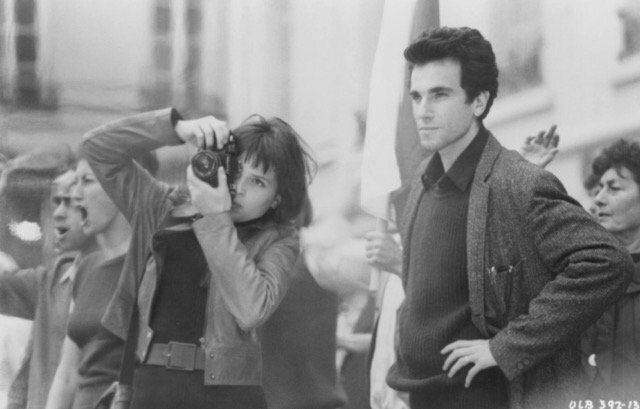 Daniel Day-lewis also at a film event (looking very suave) standing with nicely rolled-back shoulders and his head properly angled downward in order to elongate the cervical spine. 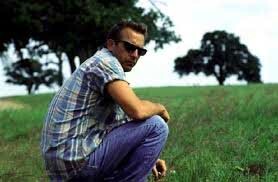 Kevin Costner is an example of poor posture. He has forward head posture, and often rounds his back. I couldn't find a quick picture, but for those of you who have watched his movies know what I mean. 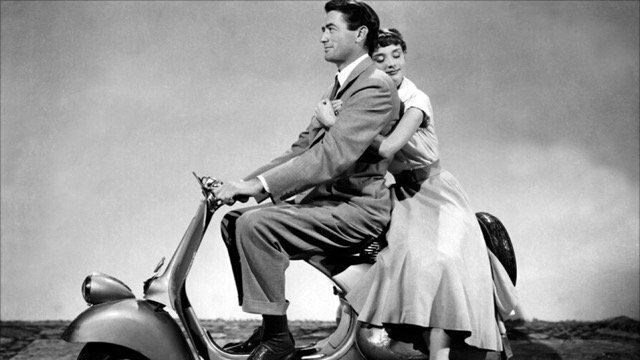 Audrey Hepburn was my first choice of good posture, who is already pictured. Wow, yes a pity, I have a hard time keeping my eyes off Audrey Hepburn when watching one of her movies, and I'm a heterosexual female! It's hard finding a sideways pic of Costner, but below are some rounded back pics. 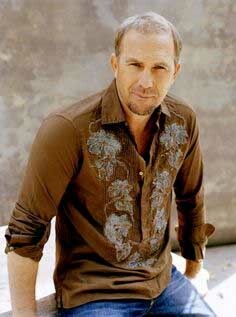 Since Costner is also a singer/musician, I wonder if he has worked on his neck posture a bit, dunno. Thanks for posting these pics - I'm really enjoying this visual / verbal dialog. I'm enjoying this thread, too, as it is educational to see the examples in popular culture. Many classically trained actors have had Alexander Technique instruction as part of their training. Numerous universities, colleges and conservatories around the world offer classes and lessons in the Alexander Technique as part of their performing arts curricula, including The Juilliard School, Yale School of Drama, American Conservatory Theater, UCLA School of Theater, Film and Television, and the Royal Academy of Dramatic Arts. Very true. Alexander Technique has made good inroads into the acting community and among musicians in the last 100 years. I have great respect for Alexander Technique and there is significant overlap with the Gokhale Method. I love reading/studying your posts. I teach Foundation Training and have noticed that I must take care when asking students to place their shoulders back. Some of them pull their shoulder blades together across their back instead of rolling them down and keeping the shoulders wide. When pulling the shoulder blades together, they flatten the thoracic spine (and compress the thorax), causing a forward head position, upward jutting collar bones and hyperextension in the lumbar spine. (We call this 'rooster chest'.) When I was a teenager (I'm 55 now), I was taught to pull my shoulders back and draw my elbows toward one another behind me. Now I'm working to unravel all that. How do you cue students to stay wide when rolling the shoulders back? Glad you enjoy my posts! Re: How do you cue students to stay wide when rolling the shoulders back? There are pieces of our work that are best transmitted hands-on. This is even more true of training teachers. I work one-on-one with our teachers to help them refine the way they observe, cue, and provide hands-on guidance to their students. 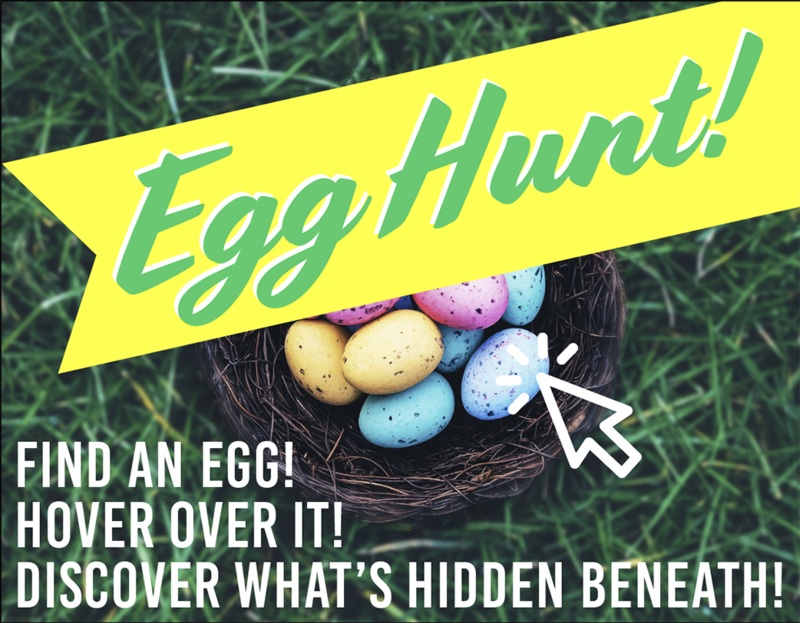 It's not something that's possible to do in a high-quality way on a blog. 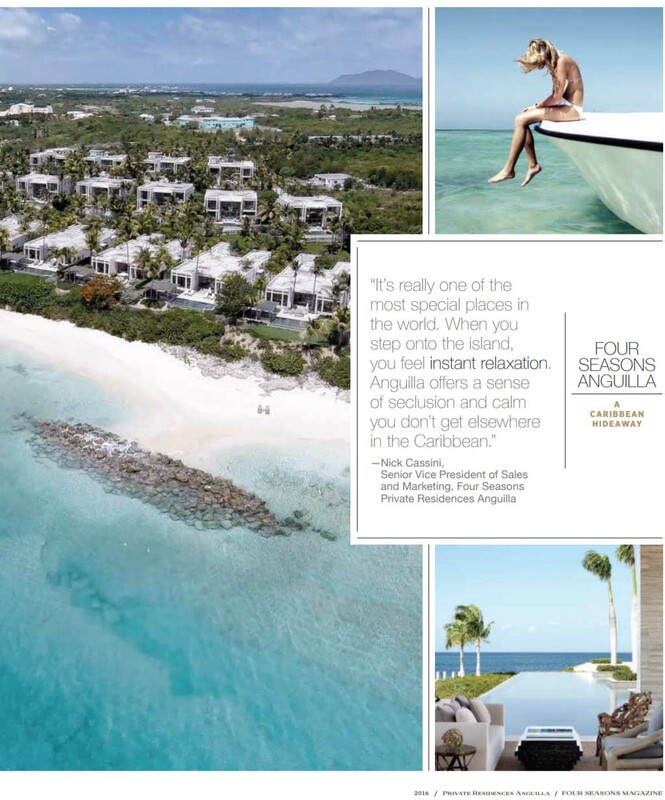 In addition to some high fashion & couture imagery, poor posture is glamorized in aspirational lifestyles as well, take a look at page 2 of fourseasons2016fall-Global-1473770012000f1f21f3e2d-pp.pdf. It's more disturbing when you see it on the NY Times weekend insert on glossy card stock, high resolution of course. Too bad the beauty of the ocean isn't inspiring enough for one to sit well. I mean especially on that edge, it can easily facilitate stackitting! I don't understand the photographer/editor's logic - no need to have the head parallel to the ocean to signify peace, solitude, depth of thought or the ocean. It totally doesn't connect me to the idea of regeneration through this experience. And, I don't get how slumping to a C-curve relates to luxury or a desire for it. Weekend at Bernie's? I think she looks TOO relaxed, if you get my drift. We're going to have to create a separate post about fashion models - they seem to march to the beat of a different drum...different pressures, different results. And yes, they're all influencers in our culture. Great post--it's so helpful to see all these photos! I believe the 'crew member' with Winona Ryder is Martin Scorsese. Lizzy Caplan's posture takes my breath away - in a good way. Indeed! Here she is, looking lovely. Chin angled down, point of her nose below the middle of her ears, shoulders relaxed and sloping naturally downwards, hand easily able to stand akimbo. And here is a very poised pic of her walking. Notice how much better settled into her back leg and heel she is than her companion, who is hurtling forward into her next footstep. She's got a lot going for her vis-a-vis her posture (except for some sway in her low back). I prefer this version of her - quite lovely! Before I even opened this post the title made me think of all the Lords and Ladies of Downton Abby Fame. That Series made me really sit up and pay attention to posture. 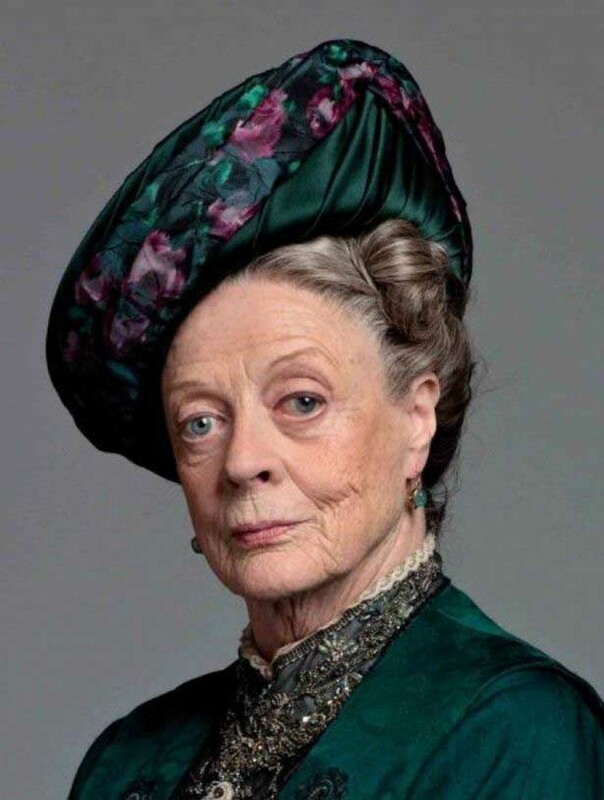 Maggie Smith is a favorite under any circumstance. Thanks for reminding us of all these great examples. 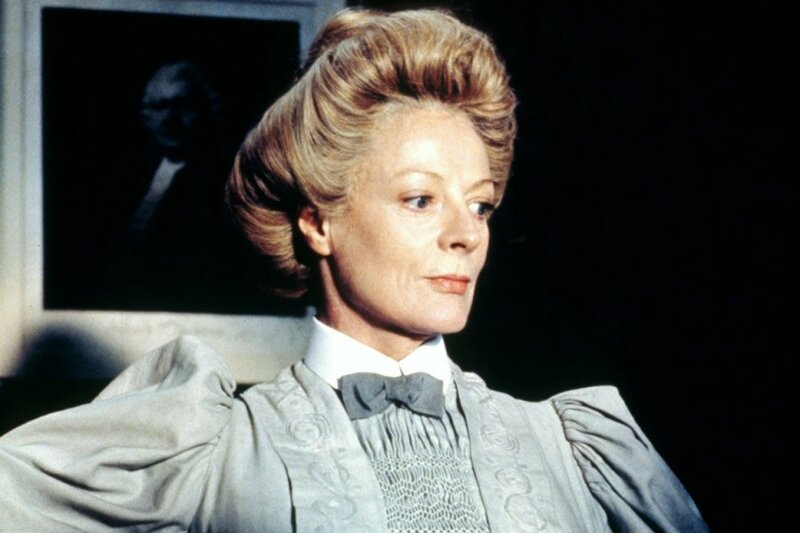 Yes Dame Maggie Smith has wonderful posture and movement patterns. Maggie Smith using her eyes (and turning her head) to look to her side. 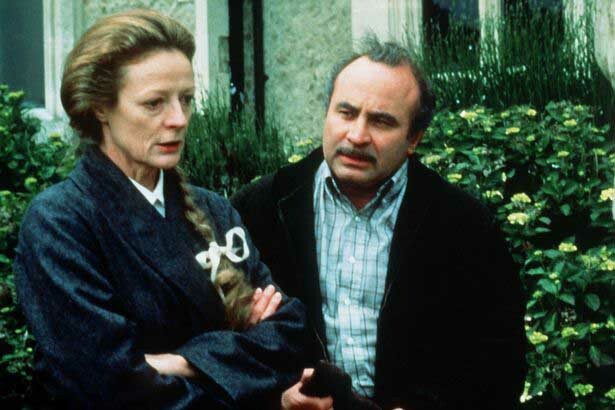 Bob Hoskins and Maggie Smith - Maggie's shoulders stay back in place even as she crosses her arms.